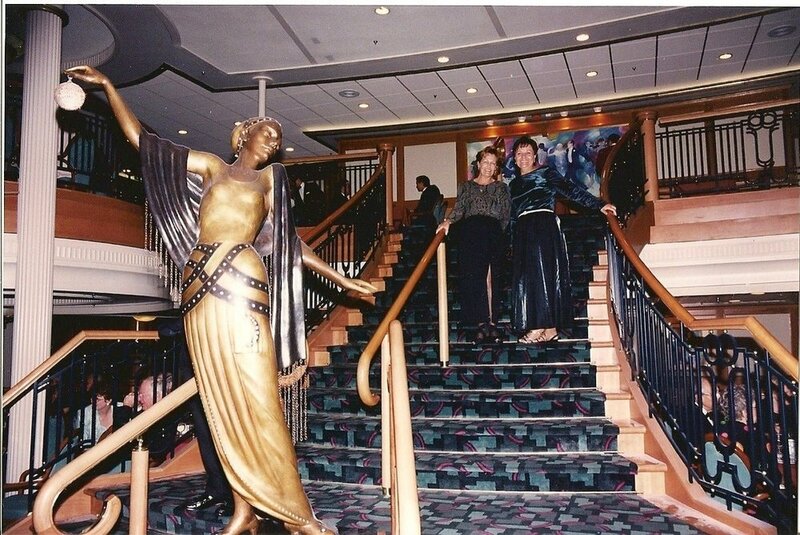 It was 1997, and as my sister and I descended the stairs of the magnificent Grandeur dining room, we felt like movie stars in our long glamorous gowns. And so it began...………. Around the same time, I took Grandeur back from Palma to Colon. The ship's officers and Hotel Director, did absolutely nothing for the passengers, had no events for two weeks, nothing in the daily itinerary. They always claimed they had no budget for this, as it was "just a repo cruise". This really hurt their brand with me, something that has never, been fully recovered. 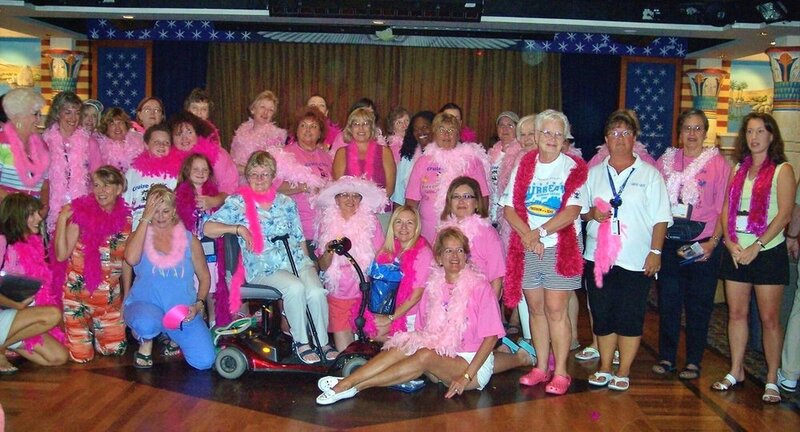 I have many great Royal Caribbean memories. My first RCCL cruise was on Sovereign of the Seas in 1991. I was 11, but I was hooked. We had previously done Premier and Carnival. Nothing prepared us for how elegant Sovereign was. I remember all the polished brass, the outstanding food and wonderful service. I can still hear Captain Eriksen's voice over the PA for his announcements in his very distinct Norwegian accent. Our second RCCL cruise was the inaugural Alaska season on Legend of the Seas. It is still one of my favorite ships in the fleet. I was 15 at the time and there were maybe 15 other kids my age. We had such an awesome time. It was sad to see her leave the fleet. She was such a beautiful ship! One of the best memories was getting to dine with Captain Espen on Freedom of the Seas in 2016. It was my first opportunity to dine at the Captain's Table and one I will never forget. I'm a pilot and he's also a pilot. We had an excellent dinner conversation sharing our love of flying. The next day, I was invited for a personal tour of the bridge by Captain Espen himself. It was a wonderful cruise and I'd love to sail with him again. We've done Carnival, Celebrity and NCL, but Royal will always be my favorite. We started with RCCL in 1973 when they had been in business for 4 years. We heard about cruising from a family friend, and thought it a little odd sounding. Then, at the drive-in movie one night (remember those, anyone? ), we saw a commercial with pictures of the midnight buffet, and decided to give it a try. Song of Norway first, fell in love with cruising, then a 2 week cruise 6 months later. We were hooked for life! This week we start our 50th Anniversary cruise odyssey, and now I know it's RCCL's 50th Anniversary, too! My wife on stage with Mary Wilson, singing "Stop in the Name of Love". Absolutely I was there. Hello Laura just seeing this thread now. Indeed a very memorable Meet & Mingle and cruise on the very new Freedom of the Seas . 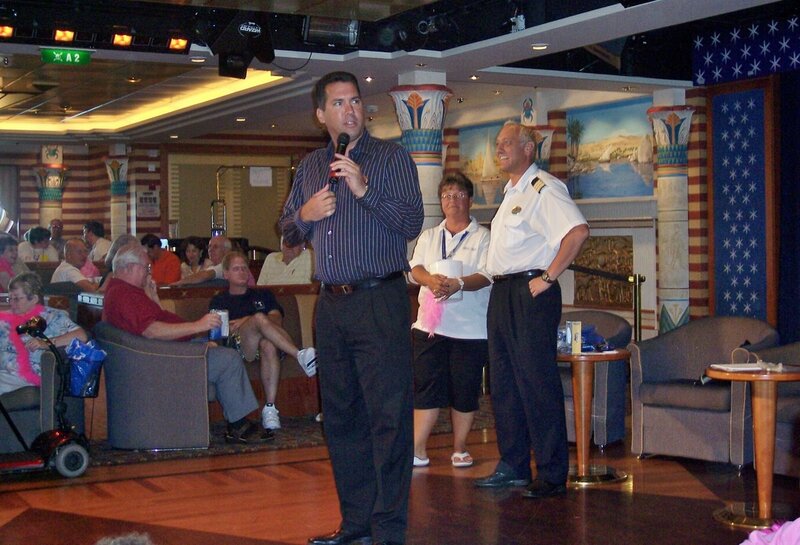 Thanks to Cruise Critic over the years for being the means to meeting so many wonderful cruising friends that helped to make my RCI cruises memorable in 2006 on this sailing and it continues today. Also on song of America we had husband and wife as CD. They were great singers and he was hilarious. I hope this Thread goes on for a while- i love to read all the wonderful memories! June 2004. Explorer of the Seas. First cruise. The start of years of cruising adventures. Never sailed on a cruise ship until a friend said try it, you will have a great time. Booked the last balcony stateroom on a Wednesday and sailed on Sunday to celebrate our 3rd anniversary. We had no clue what we were doing! Explorer was the only ship I could find that had any staterooms available so no decisions to make there. Drove to Miami from the SW Florida coast and drove over the access bridge to the port. There she was and I said OMG. I have never seen anything like this; it is incredible. Never have forgotten that first view of such a magnificent ship. It was love at first site! Great memories of that first cruise remain! 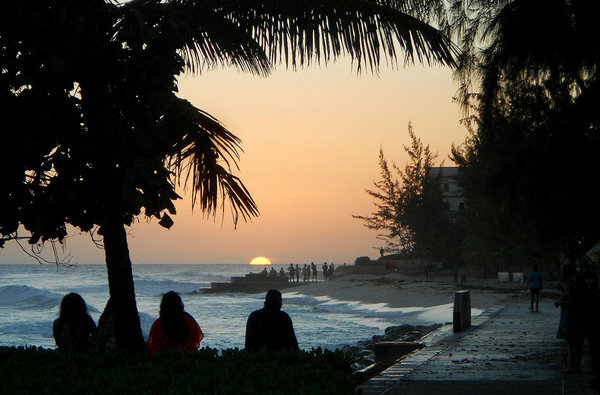 Ports in the western Caribbean were all new adventures. Some good; some not so good. Typical stops in Belize, Costa Maya (pre Dean), Cozumel etc. Chops had 2 waiters per table with backup servers. Food and service incredible. Nighttime buffet with whole lobsters as decorations and to eat. I remember one pax leaving with a pile of whole lobsters on each of two plates. No wonder they had to cut that great event. That Explorer sailing was hard to leave. 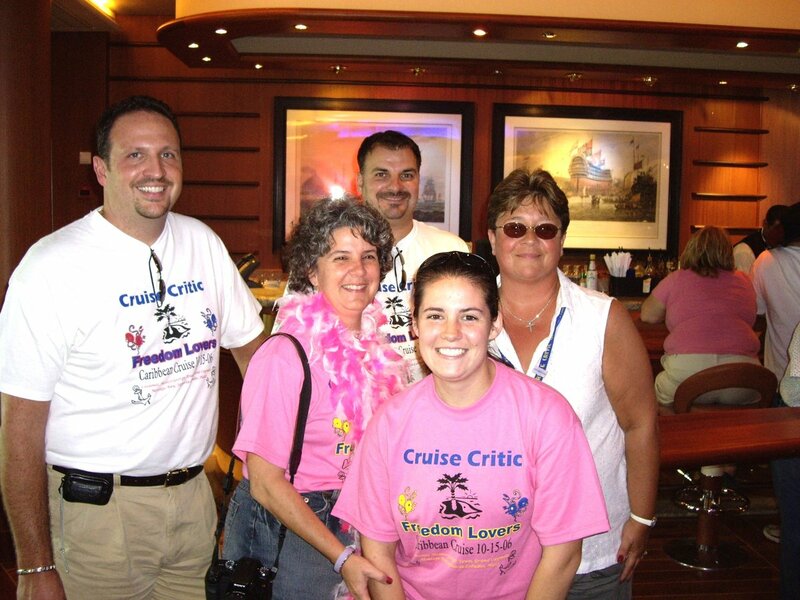 I had the cruise bug for sure and sailed twice that same year. Forty five cruises later I think back to Explorer and think what a wonderful world opened for DH and I.
Ken Rush as CD was great- is he still with RCI? Ken Rush is now Director of Entertainment and Guest Activities. The CD's report to him. He works out of head office in Miami. He is often seen on the new ships as they begin their sailings. I have seen him on both Harmony and Symphony transatlantics as well as the President Cruise this past September. Most recently friends had a photo taken with him on the March 1 sailing of Navigator post drydock. Elvis! The man with the most difficult trivia! I still have a keychain with his autograph...a trivia prize. Don't recall sailing with Ken as a CD, but I've run into him a few times. Here he is with Laura and Helen on Harmony. Thanks for the information! So he moved up- well done Mr. Rush! I just checked- he was CD when I cruised one of the Visison Class ships back in 1998! It was certainly not my first cruise , Id been on about 10 on various lines, including a few RCCL but I will never forget walking on Allure in 2010. The sight of the sheer size and the beauty of the champagne bar simply took my breath away. We walked no further until we had ordered a nice bottle and marveled at how blessed we were. 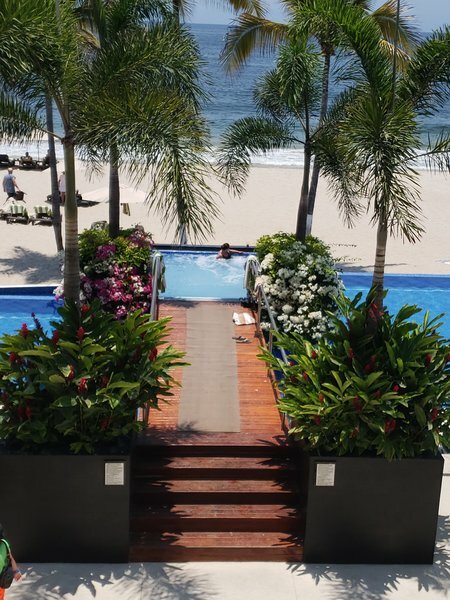 And every cruise we continue to take, we realize just how lucky we are! Lol you are correct, I would have literally "let that ship sail". @lovelife- the more i look at the wonderful picture from you and your sister the more I am sure we cruised together on one of the Vison Class ships- Grandeur was my first ship also! 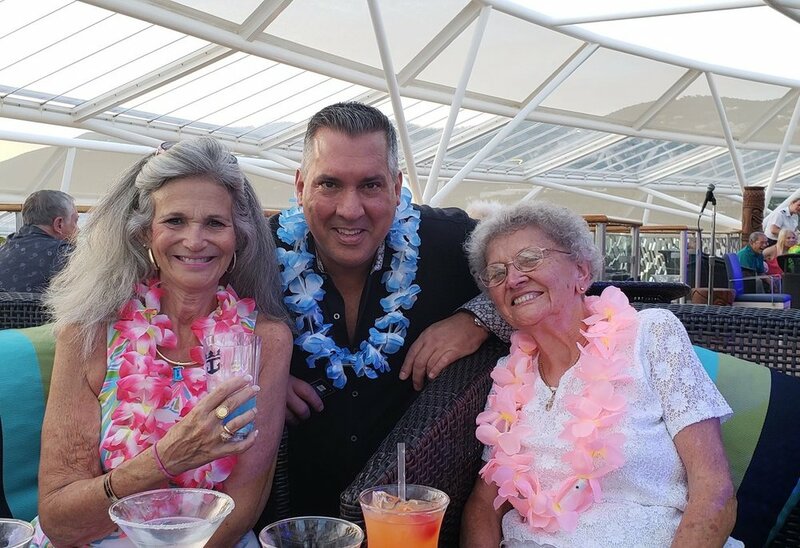 The woman on the right in the picture looks like a nice lady i met and talked to often- we were tablemates actually- if memory serves me corect! @lovelife- I thing it was on board the Enchantment- your sister was traveling with their daughter- yes I thing that was it! The one on the right is my sister. She was on the Enchantment once in 2010 with me and other family but her daughter has never cruised. Her late husband was from the Netherlands. Must be a look-alike!